TMS outcomes have seemed favorable for patients with treatment resistant major depression, but what are the long term effects of TMS (transcranial magnetic stimulation)? 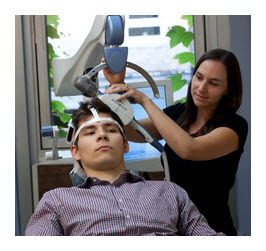 TMS is a non-invasive technique for stimulating brain activity in parts of the brain that seem to be turned off in depression – the dorsolateral prefrontal cortex. 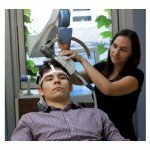 TMS uses magnets to stimulate the brain and the safety record for TMS is better than for any other biological (non-therapy) psychiatric intervention. But do the effects last? A study about to be published in the Journal of Clinical Psychiatry summarizes the results of the largest long term followup study of TMS. All of the subjects received TMS for treatment of unipolar major depression that had failed to respond to two or more antidepressants. Many of them had dramatic early improvements, but we know that some treatments that cause dramatic improvements in mood may not last (for example ketamine infusion). This was not the case with TMS. Of 120 patients who had a robust response to TMS acute treatment, almost two thirds of the patients had no recurrence of depression during the following year. One third of the patients required a brief booster of TMS (1 – 2 weeks instead of 6 weeks in the acute phase of treatment) in order to stay depression free. If TMS were a treatment for a non-psychiatric condition it would be widely accepted as the preferred option for treating depression if an initial course of antidepressants does not work. It is not that expensive given the impact of depression on people’s lives, and it has almost no side effects.